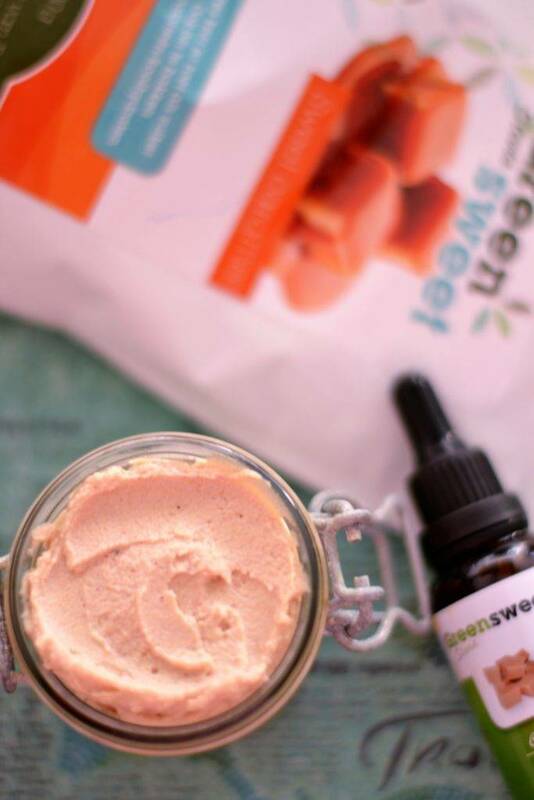 A recipe from Manon from Vegan Flavors which includes Greensweet Sweet Caramel and liquid stevia Caramel. 150 ml of coconut milk (from can) possibly more, if you want a thinner version. Preheat the oven to 200 degrees and cover a baking tray with parchment paper. Put the hazelnuts on the baking sheet and roast them in about 15-20 minutes. Put the roasted hazelnuts together with the greensweet Sweet Caramel and coconut milk in the food processor. Turn on. Clean the edges from time to time. When you have a creamy substance, taste for a while whether it is so flavored. Do you want it sweeter? Then add a few greensweet liquid stevia Caramel drops. If you want it thinner, then add some coconut milk. Transfer your pasta into a glass jar and store in the refrigerator. With this frosting / pasta I made 10 chocolates, put a small jar in the fridge as a spread and what I left, I smeared a cake with it.